Watch our Seller Secrets – Pricing to Sell Video to learn more about the importance of pricing to get the highest possible selling price in the shortest amount of time. Just as important as Pricing is Condition. In addition to being a Real Estate Broker, Don is also a licensed General Contractor, a licensed Home Inspector and a licensed Residential Appraiser. He knows what buyers are looking for and he can help you determine what improvements will bring you the greatest return on investment. 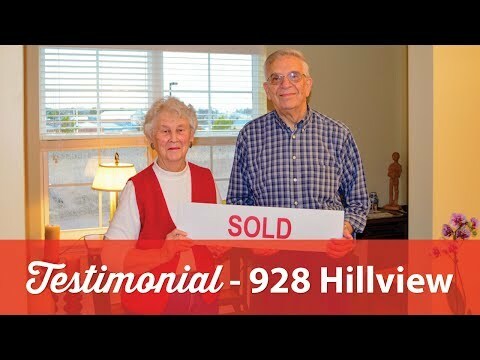 Take a look at our SOLD Quickly video to see how we quickly sold two homes that were on the market for 455 days and 385 days with other real estate agents. In addition to cosmetic improvements to the home, we also implement our exclusive Stage to Engage program to maximize the showing condition of your property. Take a look at this Before and After video to see what a difference staging can make. In today’s market, many agents are still relying on the “3P’s”. It takes a lot more than Putting a sign in the yard, Putting your home in a multiple listingservice and Praying for a buyer. The Presentation of your home online is also extremely important. Nearly 90% of home buyers begin their search on the internet. You only get one chance to makea great first impression! Ourmarketing program uses aggressive and targeted Promotion strategies with thegoal of reaching the greatest number of buyers, including internet home shoppers. We understand that selling your home can be a stressful time for you and your family. Our Team of experienced professionals will handle everything from pre-listing preparation, staging, internet and print marketing,and contract-to-close coordination. Weknow which improvements buyers are expecting so you don’t waste money on improvements that yield little or no return. Coaching you every step of the way, you will feel confident in your decisions. See some recent Testimonials from our many satisfied clients. CONTACT US for more Strategies for Selling your Home in Cary. Whether you are Selling in Raleigh, Selling in Apex, or Selling Morrisville, the Don Johnson Real Estate Team will give you the Seller Secrets for Pricing a Home to Sell and get it in the Best Showing Condition.